There are, broadly speaking, two kinds of short stories: the quiet, profound, slice-of-life short stories that evoke a sense of bittersweet longing and muted despair... and the short stories that get weird. There's just something about short form fiction that prompts authors to throw the proverbial rule book out of the proverbial window and start experimenting wildly. Most of these stories can be read in just a few minutes, but the side effects (dizziness, confusion, laughter, a sense of excitement over the vast and untapped potential of literary fiction) can last a lifetime. So check out these experimental short stories that you can read right now, and make your lunch break just a little bit weirder. Lydia Davis is the reigning queen of the short short story. You can easily read five of her pieces in one sitting, from micro-love stories to mini-mysteries about missing salamis. Some of her stories are entire linear tales told in a single paragraph, while others take less conventional structures, such as "NOTES DURING LONG PHONE CONVERSATION WITH MOTHER," a delightful story which mostly consists of anagrams of the word "cotton." Read now. As the title suggests, "Ogres of East Africa" is a field guide to the various ogres who inhabit Eastern Africa. But of course, tucked in among the descriptions of long eared, man-eating ogres, is the story of cataloger Alibhai M. Moosajee as he tries to carry out his assignment while navigating his own cultural identity and his relationship to his informant, a woman who only goes by the name of Mary. Read now. George Saunders is one of the biggest names in experimental fiction at the moment, and for good reason. His stories run the gamut from "delightfully strange" to "menacingly strange," both in content and in form. In "The Semplica-Girl Diaries," for example, a family struggles to keep up with their affluent community by way of some truly disturbing lawn ornaments. Read now. "Girl" by Jamaica Kincaid has got to be one of the best known experimental short stories of all time. In one long, winding sentence, Kincaid conjures up the entire childhood of a girl in the West Indies. Half poem and half biography, "Girl" is equal parts beautiful and gut-wrenching, a highly specific tale that will resonate with girls everywhere. Read now. "Orientation" is, well... an orientation. You are starting a new office job, and you are being oriented. Of course, as you learn about your office phone and the filing system, you also learn about all the other workers who inhabit this unspeakably dull office space: the ones who have suffered recent tragedies, the ones who are obsessed with penguins, and the ones who are secret serial killers. Read now. "Happy Endings" is a story in the form of a multiple choice question. In every scenario, John and Mary meet and find some kind of romantic relationship. At the end of every scenario, John and Mary die. It's what happens in between that really changes their lives (and if you know Margaret Atwood, you know that truly uncomplicated, happy endings aren't so much her thing). Read now. If you're considering a career as a professional author, you're going to want to read Lorrie Moore's wonderfully, horribly frank "How to Become a Writer Or, Have You Earned This Cliche?" first. And then you're going to want to take the first line of the story to heart, which is: "First, try to be something, anything, else." Read now. "Fable" is, as the title suggests, a sort of a fable. 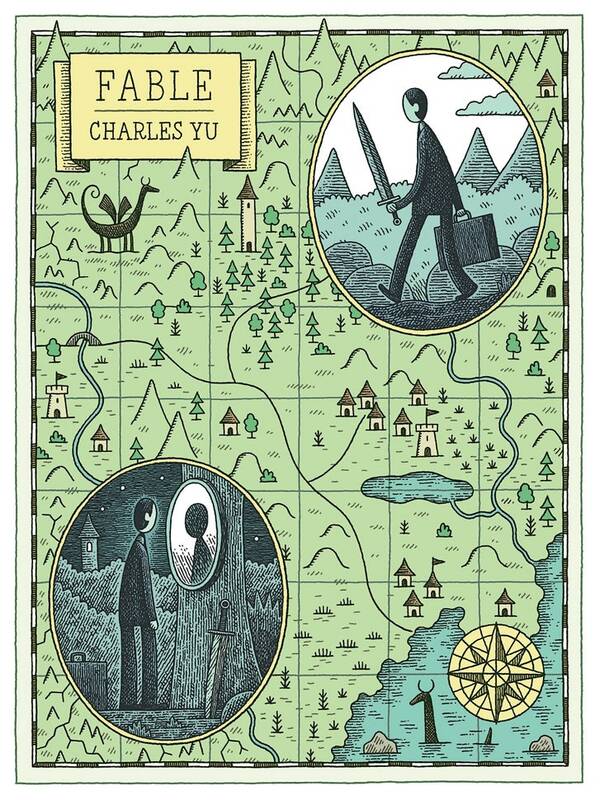 But, because it is written by Charles Yu, it is also a very clever work of meta-fiction. After all, what do you do when you don't like the story that you're in? How do you process your anger when it feels like slaying dragons and stabbing orcs would be a heck of a lot easier than the painful drudgery of your actual, real life? Read now. If you've ever read science fiction (or if you've been keeping up with the news), then you've probably come across some terrifying apocalyptic stories before. "Patient Zero" takes a skewed look at the end of the world, through the notebook of a little boy who's grown up in a hospital (even though he doesn't seem to be sick). It's a clever, creepy, and all-around original way to write the end of the world. Read now. "Flying Lessons" alternates between instructions on how to get to hell (naturally), and the story of June, a woman who works in a hotel in Edinburgh. Each section is neatly numbered, so you won't lose your way between the perfume shops and the many birds and the harrowing journey to the Bonehouse. In true Kelly Link fashion, this story is off-kilter, hilarious, and tinged with the fantastic. Read now. "Interesting about E and A" starts with a narrator who loves/resents/hates her best friend, who's just won some kind of award (even though she'd promised that the two of them would always be losers). From there, however, our narrator begins to investigate the theoretical lives of "E" and "A," two letters found in a letter, coming up with stories of who they might be and how they might have lived and loved. Read now.